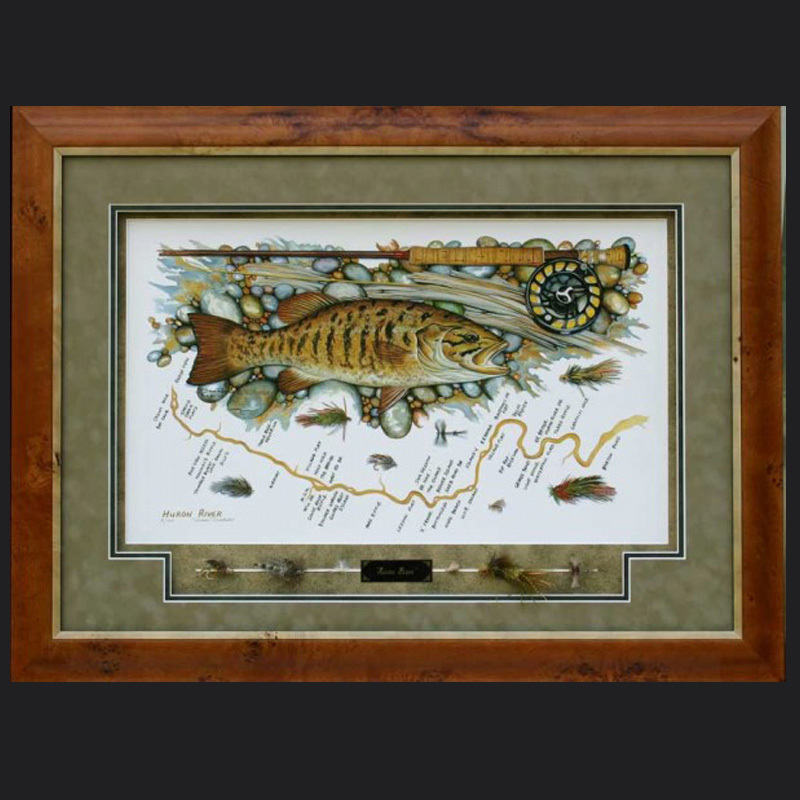 Boardman River print is signed and numbered to 400 prints in the edition. 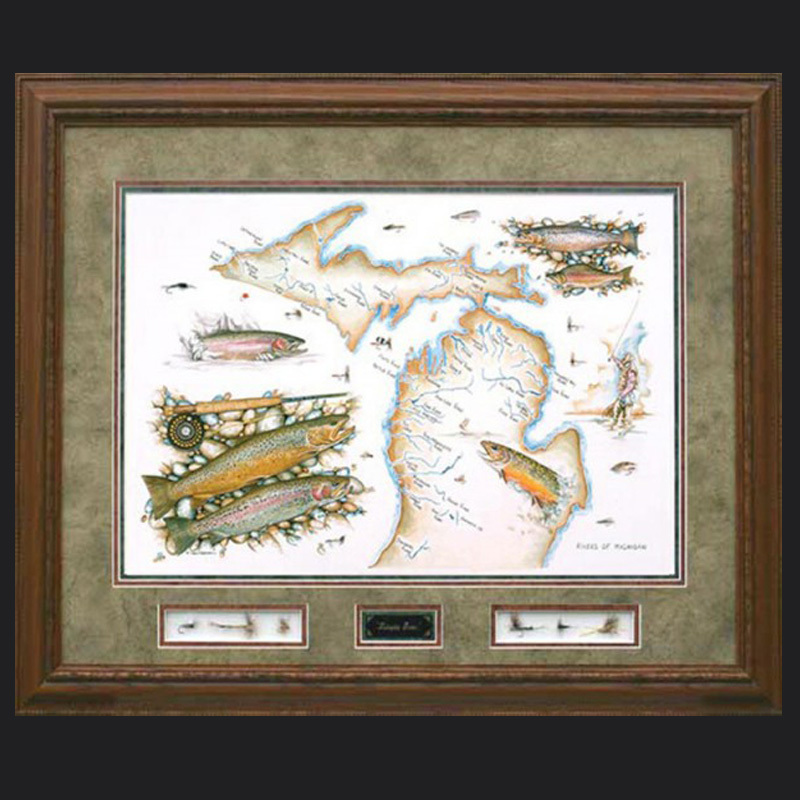 Comment:The Boardman River flows through northern Michigan in the Traverse City area. 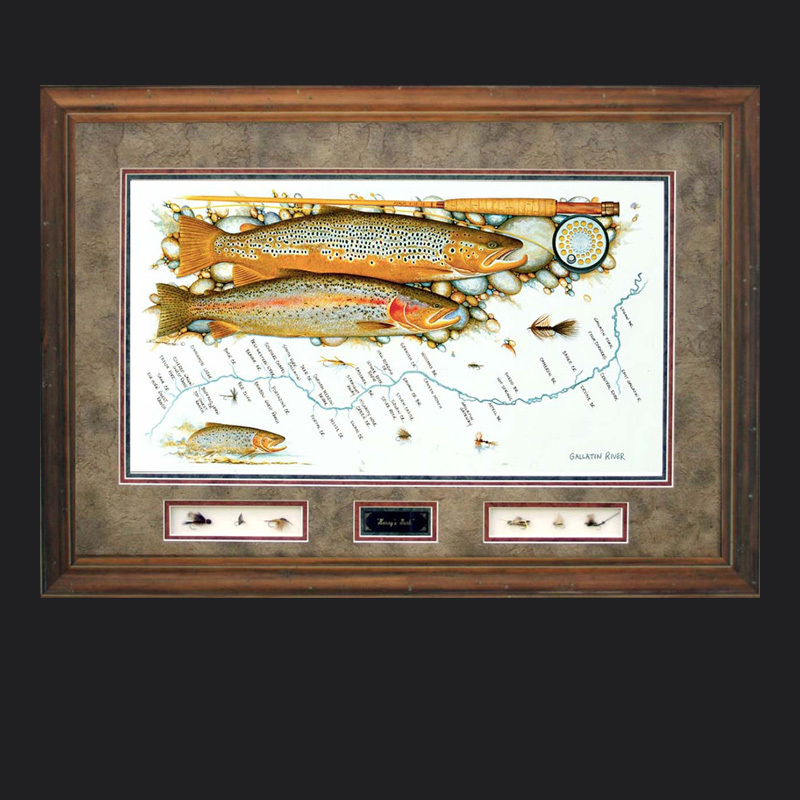 This river holds many resident Brown & Brook trout. 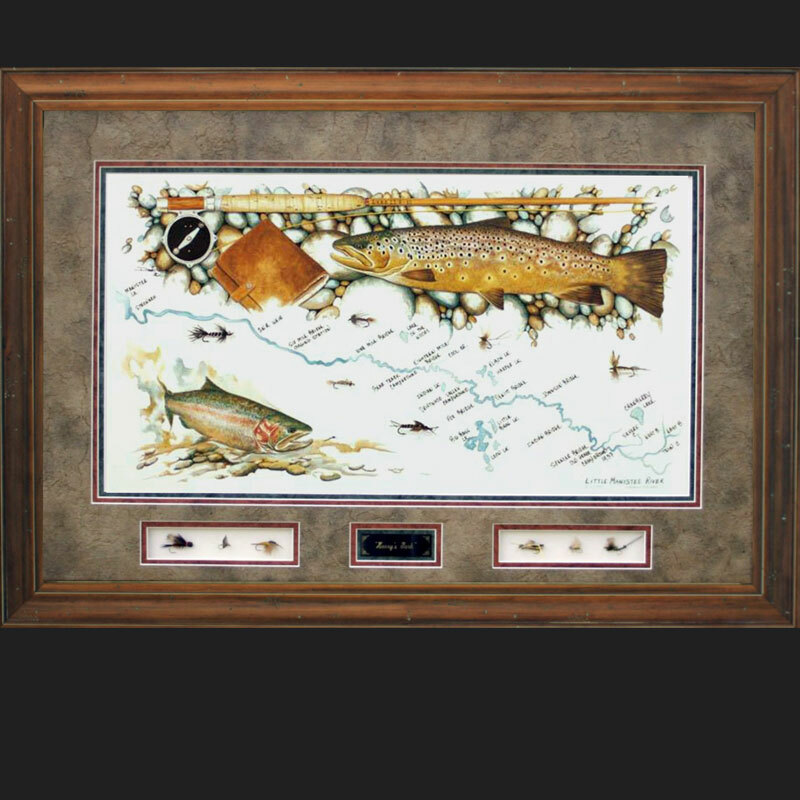 This River is part of the River Series.It features a Brown Trout and a Brook Trout laying on some river rock. 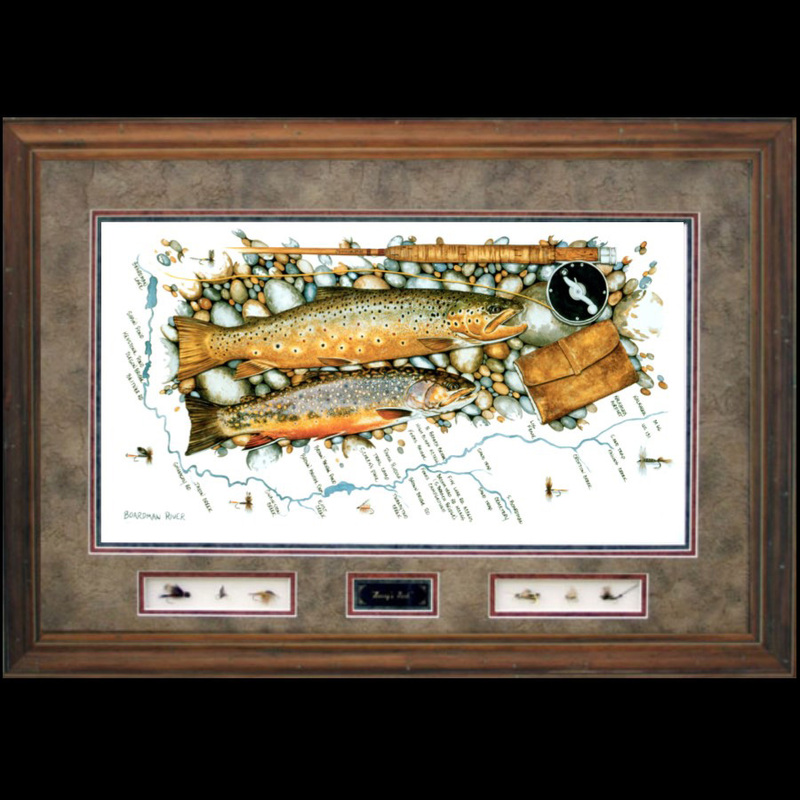 The flies included are some of the well known patterns for this river.